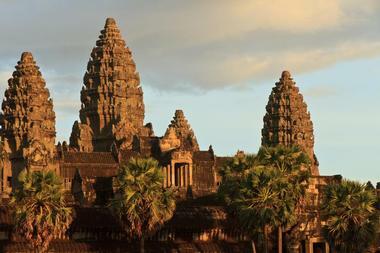 Those looking to travel to Southeast Asia should look no further than the beautiful, historical, and cultural country of Cambodia. 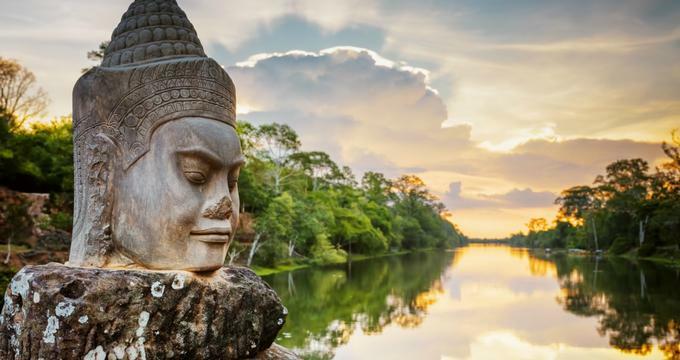 The best time of the year to head to Cambodia is from November to February, when temperatures are a bit cooler and easier to navigate through. 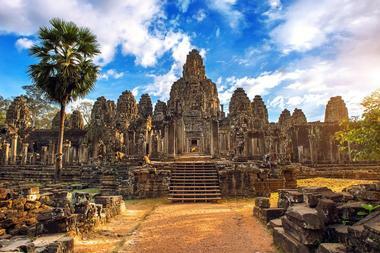 Cambodia is filled with beautiful sites, including what it is most popular for: the Angkor Wat temple complex. Other than the stunning archaeological ruins scattered throughout the country, visitors will also see beautiful nature reserves, untouched beaches, and various exotic animals. Other aspects of the country that shouldn’t be missed are the Angkor Night Market, Botum Sakor National Park, the National Museum of Cambodia, and the Royal Palace. The Angkor National Museum was established in 2007 to collect, preserve, and present the country’s many Angkorian archaeological artifacts. The eight galleries focus on the golden era of the Khmer Empire’s history, culture, and civilization. The galleries include the Briefing Hall, with an 80-seat theater for orientation, a collection of Buddha statues and relics, literary works of the Khmer civilization, ancient engineering plans, jewelry, and much more. Visitors of the museum shouldn’t miss certain antiquities, such as the Sumedha Hermit, a standing Vishnu statue that dates to the 7th century, and the elegant Lokesvara statue. Open every day from 5pm to midnight, the Angkor Night Market bustles with the sounds and lights of over 200 vendor stalls, bars, and cafes filled with locals and tourists. The Angkor Night Market is the perfect place for visitors to explore and really get a feel for the people and culture of Cambodia. At the market, visitors can try delicious local cuisine at everything from street carts to fancy restaurants. It’s also the perfect place to pick up some souvenirs to take back for family, friends, or even themselves; souvenirs vary from t-shirts and keychains to works of art in the form of sculptures or paintings. Various events are held at the market throughout the year, such as the Happy Khmer Water Festival and the Christmas Shopping Extravaganza. 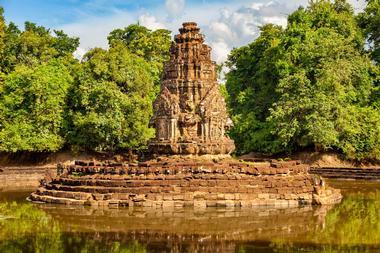 Angkor Thom was developed by King Jayavarman VII during the late 12th century. The name, which translates to “great city,” was the last capital city of the Khmer empire and is indeed a great place for visitors to explore. One of the most fascinating sites in modern day Cambodia is Prasat Bayon, an extremely distinguished temple from the early 13th century. 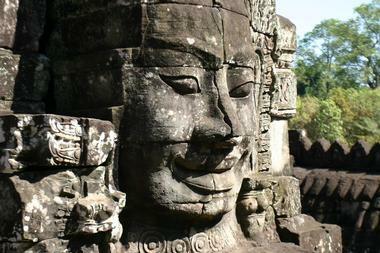 The temple’s most distinctive feature are the many smiling stone faces found on the temple’s towers. Many other Angkor ruins can be found in the city as well; getting to know the mythological stories behind them can be fascinating for visitors of all ages. The largest religious monument in the world, Angkor Wat is a temple complex found in the heart of Cambodia. The complex sits on over 162 acres of land and was originally constructed as a Hindu temple but gradually transformed into a Buddhist temple. Angkor Wat is a national symbol and one of Cambodia’s main attractions. 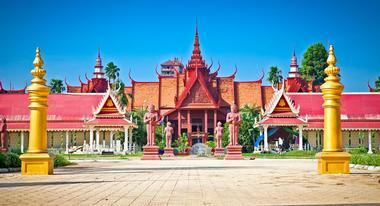 Visitors will be able to see a prime example of classical Khmer architecture as well as the surrounding grounds. The UNESCO World Heritage Site has many aspects that visitors shouldn’t miss, including the Naga Head, carved illustrations from Indian literature, and the intricately sculpted towers. 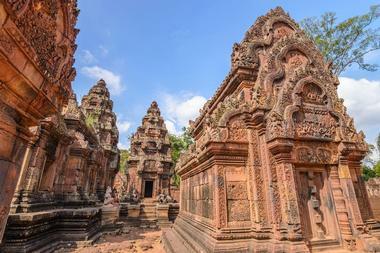 Banteay Srei is a Cambodian temple built in the year 967 and dedicated to the Hindu god Shiva. The temple, which is built in Khmer style, is largely made of red sandstone and has many stunning and elaborate carvings on its walls. Often called “the jewel of Khmer art,” Banteay Srei is a popular tourist destination and attracts visitors from all over. Many scenes are depicted on the walls of the temple to tell historic stories, with the one on the Ramayana being a favored site to see. Other aspects that shouldn’t be missed are the temple’s library structures and the sanctuary filled with replicas of statues that were found there. Prasat Bayon is a Khmer temple in Cambodia that was built in the early 13th century as King Jayavarman VII’s official state temple. The richly decorated temple was originally built in terms of Buddhist teachings, but was later modified to include Hindu preferences. One of the features that visitors love is the multitude of serene faces that jut out from the temple’s towers. The outer gallery of the temple has many scenes from Khmer history depicted on the walls, such as the Khmer army, naval battles, and scenes from the marketplace. Other than the galleries, visitors will also be able to explore the temple’s libraries and courtyard. 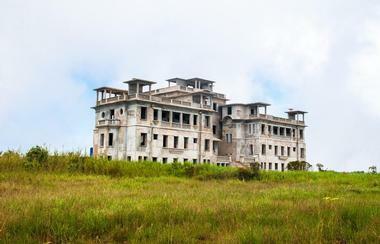 Originally built in the early 1920s, Bokor Hill Station comprises many buildings constructed in French colonial style. Ranging from a hotel and royal residence to a church and casino, the site was supposed to be a luxury retreat within Preah Monivong National Park. 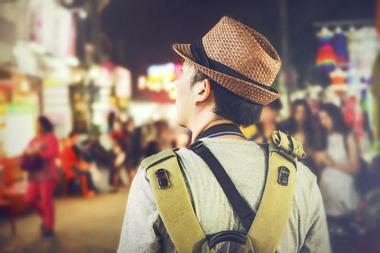 Now, the abandoned historic buildings are a fun attraction for visitors to explore. Only the small temples and the post office are currently still in use; the rest of the buildings are managed by the Cambodian authorities. Depending on the season, visitors will also be able to see a beautiful waterfall nearby. Governed by the Department of Nature Conservation and Protection and the Cambodian Ministry of Environment, Botum Sakor National Park is the biggest national park in Cambodia. The park lies on a southwest peninsula and comprises over 170,000 hectares of land. Visitors can navigate through the mangroves, grasslands, woods, and swamp forests to see the rich flora and fauna within the park. The wildlife is extremely rich and unique; visitors will be able to see pileated gibbons, Sunda pangolins, Asian elephants, and fishing cats, just some of the endangered species found within the park. 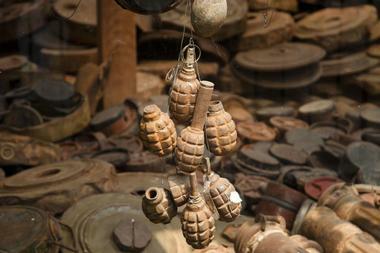 The Cambodian Landmine Museum and Relief Facility is found within Angkor National Park. The museum started with a single man, Aki Ra, who would clear landmines with a stick and had a growing collection of defused ordnance in his home. The Cambodian government ordered the museum to be moved from the residential area and the current museum was funded by a Canadian NGO. Visitors are taken through the four galleries to learn about Aki Ra’s story and the history of landmines in the land; they are also able to meet the affected children who live at the museum. Found in the capital Phnom Penh, the Cambodia-Vietnam Friendship Monument commemorates the former alliance between Cambodia and Vietnam. The concrete monument was built in the 1970s by the communist regime, which took power after the war. The statue displays two soldiers who are standing behind and guarding a woman carrying a baby. In the past, the park was a political focal point and the site of various attacks. Visitors will find the statuary in Botum Park, near the Royal Palace. The park has many other statues of Cambodian and Vietnamese soldiers; local tours offer visitors insights into the histories and importance of these parks. Choeung Ek is a mass grave site, one of the better-known ones from The Killing Fields: a collection of sites throughout the country where the Communist Khmer Rouge regime killed and buried over a million people. Choeung Ek, in particular, is an 11-mile mass grave that housed 8,895 bodies. Researchers identified that many of the people were former political prisoners who had been kept in the Tuol Sleng detention center. Currently, visitors will be able to see a Buddhist stupa on the site that memorializes those who were found there. The stupa has clear acrylic sides filled with over 5,000 human skulls, which visitors can see. 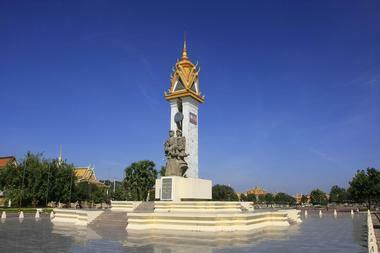 Independence Monument, known as Vimean Ekareach, was designed by modern Cambodian architect Vann Molyvann in 1958. The architect’s other works include the State Palace, the National Theatre, the National Sports Council, and the Council of Ministers. 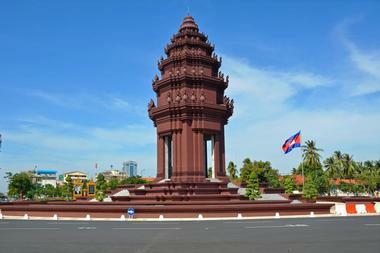 The monument symbolizes the country’s independence from France and can be seen in Phnom Penh, the country’s capital. Built in a style like that of the great Khmer temple, visitors will see a beautiful lotus-shaped stupa that is stunning in the day as well as at night. Visitors who are there during national celebrations will be able to witness a ceremonial flame being lit within the monument. Bridge Head, more popularly known as Kbal Spean, is an Angkorian archaeological site found deep in the jungle on the slopes of the Kulen Hills. 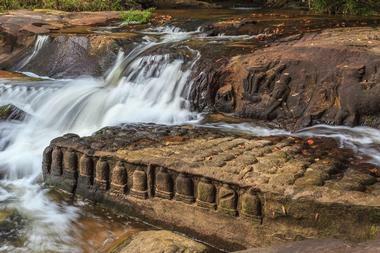 The site stretches for 150 meters along the Stung Kbal Spean River and comprises a series of stone rock relief carvings embedded in the sandstone formations by the riverbanks. Amongst the waterfalls visitors will be able to see sculptures of Hindu gods; many of them depict the Hindu gods Shiva, Brahma, Vishnu, Rama, Lakshmi, and Hanuman. There are also sculptures of frogs, cows, and many other animals along the stretch. The National Museum of Cambodia was established in the 1920s and has grown to become Cambodia’s largest and leading museum on cultural history and archaeology. 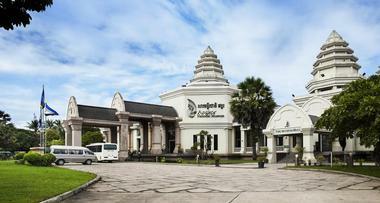 Visitors will be able to see one of the largest collections of Khmer art in the museum. The artifacts range from sculptures and ethnographic objects to bronzes and ceramics, all from prehistoric times and before. Some of the pieces that visitors shouldn’t miss include a standing adorned buddha made of bronze in the early 12th century and a stunning kinari box carved out of wood and painted with red and black lacquer. Neak Pean is a collection of pools and artificial islands that was originally built in the late 12th century by King Jayavarman VII for healing and medicinal purposes. Many believe that Neak Pean represents a mystical lake in the Himalayas believed to cure all illnesses. At present, visitors will be able to see the Buddhist temple on the circular manmade island within the pond. Neak Peak was once the location where princesses made their offerings and though many of the carvings and statues are no longer visible, the site is still a beautiful way to experience Cambodia. 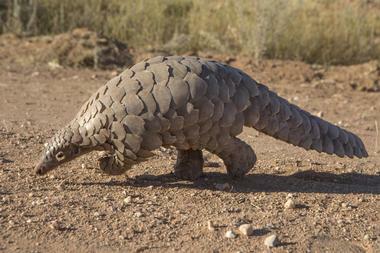 Pangolins are an odd mammal, similar to a anteater, and covered in hard scales. Due to the rareness of the animal and the increase in poaching it for its meat and scales, pangolins have become endangered; in many parts of Asia pangolin meat is considered an exotic delicacy. The Pangolin Rehabilitation Center opened in 2012 in the Phnom Tamao Zoological Park to provide a safe and sanitary place for the animals to thrive. The animals are taken care of in the sanctuary, with many of them bought in after being injured by hunter’s traps. Visitors can get up-close and personal with these unique animals and contribute to taking care of them. Preah Monivong National Park, also known as Bokor National Park, can be found in the highlands of the Damrei Mountains. 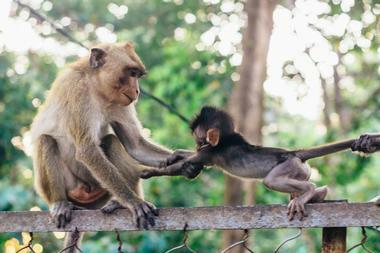 The park is one of two ASEAN Heritage Parks in Cambodia and lies 1,000 meters above sea level. 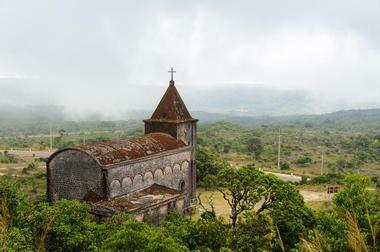 There are many aspects of the park for visitors to explore and enjoy, with the most famed being the abandoned Bokor Hill Station, which was part of a 1921 French colonialist settlement. The park is a popular tourist destination due to its rich flora and fauna; other aspects that shouldn’t be missed include the large Lok Yeay Mao statue dedicated to the mythical heroine. Preah Vihear is a Hindu temple built in the early 12th century during the Khmer Empire. The temple can be found high on a cliff in the Dangrek Mountains and is a stunning sight to behold in its surroundings. The temple has a spectacular setting and was declared a UNESCO World Heritage Site in 2008. Visitors are invited to explore the temple dedicated to the Hindu god Shiva as well as the many sanctuaries that comprise the complex. The site is extremely well preserved and the architecture and views alone have attracted people from all over the world. 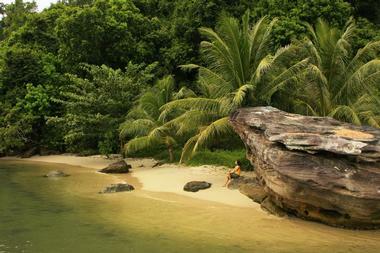 Ream National park is one of the most spectacular places on Earth, let alone Cambodia. Millions of people visit the park each year, and though tourism has increased, the surrounding area is yet to be spoiled by man-made interventions. Visitors will be able to see many exotic animals in the park such as turtles, dolphins, cranes, and pelicans, most of which are on the threatened or endangered list. The combination of mangroves, beaches, forests, rivers, and corals reefs combine to make Ream National Park one of the most stunning natural attractions in all of Cambodia. 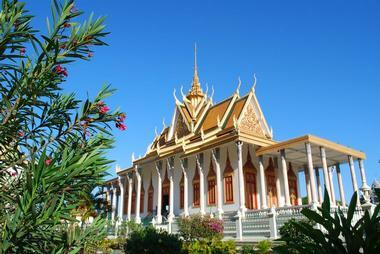 The Royal Palace in Phnom Penh was constructed in 1866 and is often referred to as Preah Barum Reachea Veang Chaktomuk. The palace complex has multiple buildings and is used as the royal residence of the Cambodian king. Many of the buildings that visitors will see display a combination of traditional Khmer architecture along with Thai architecture and European and French design and features. Important buildings in the complex include the Khemarin Palace, Throne Hall, Moonlight Pavilion, Silver Pagoda, and Inner Court. 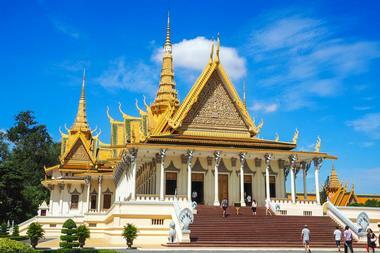 Aspects that shouldn’t be missed include the towering spires, the stupas, and the Emerald Buddha. 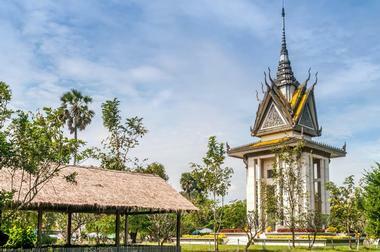 The Silver Pagoda, officially known as Wat Ubosoth Ratanaram, is a structure found within the Royal Palace complex. The pagoda, or vihara, houses many national treasures, such as the famed green crystal Buddha statue, also known as the Emerald Buddha. Other treasures include gold and jewels; the pagoda has also been inlaid with over 5,000 silver tiles and Italian marble. An aspect of the pagoda that is most popular with visitors are the murals that surround the structure. The murals were painted by Cambodian artists between 1903 and 1904 and depict scenes from Reamker, a Cambodia poem based on the Hindu god Rama. Srah Srang is a reservoir that was dug in the mid-10th century under the order of the Buddhist minister, Kavindrarimathana; during the year 1200, the site was modified by King Jayavarman VII. Visitors can go to the beautiful site and see the partially flooded reservoir. It has become a popular place to go to early in the morning as it offers stunning views of the sunrise. The reservoir’s history includes having many structures, such as a temple on the artificial island in the middle, balustrades of a serpent, and a cemetery; many mortuary jars and other artifacts have been excavated here over the years. 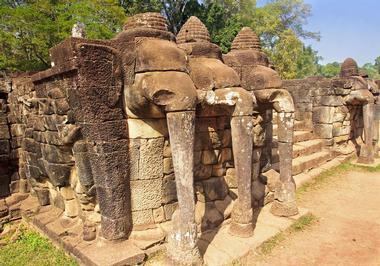 Terrace of the Elephants is one aspect of the ruined temple complex of Angkor Thom. The terrace was initially attached to the Phimeanakas Palace, which has now crumbled to ruins. King Jayavarman VII originally used the terrace to view his returning army; it was also used to listen to the complaints of citizens and to see the festivals and processions that took place below. The terrace gets its name from the elephant carvings, which visitors can still see on one side. Both the Terrace of the Elephants and the nearby Terrace of the Leper King have extensive sculptures of mythological animals some of which visitors can see during their visit. Tonle Sap, often called Great Lake, is a seasonally inundated large freshwater lake. It is linked by the winding Tonle Sap River, which connects the lake to the Mekong River. 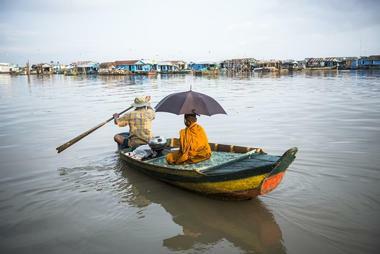 What visitors see when going to Tonle Sap varies depending on when they visit; the lake’s water volume, size, and length fluctuates throughout the year. While there, visitors will be able to see floating houses, many local fishermen on the water, and some beautiful rice fields beyond that. Visitors will come across the local wildlife as well; Tonle Sap is home to crocodiles, pelicans, the grey-headed fish eagle, freshwater snakes, and over 149 species of fish. 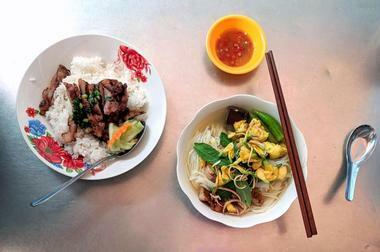 Tuol Tom Poung Market is a treasure trove for tourists, who can get to see locals in the market and experience their culture, foods, music, and handicrafts in an exciting setting. 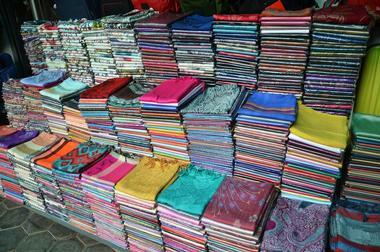 The market is worth a visit and has everything from CDs, DVDs, fabrics, clothes, and jewelry to extremely detailed ceramics and carved handicrafts. Visitors don’t have to worry about finding the proper size because there are several tailors on site to alter the perfect Cambodian outfit for visitors to take back with them. 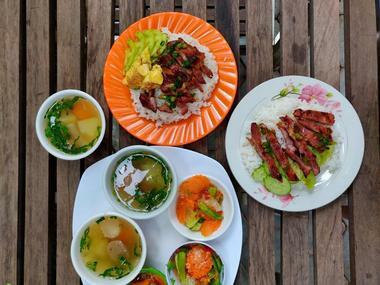 The food and drink stalls are some of the most visited in Cambodia, and rightly so as they allow visitors to try the delicious local cuisine.